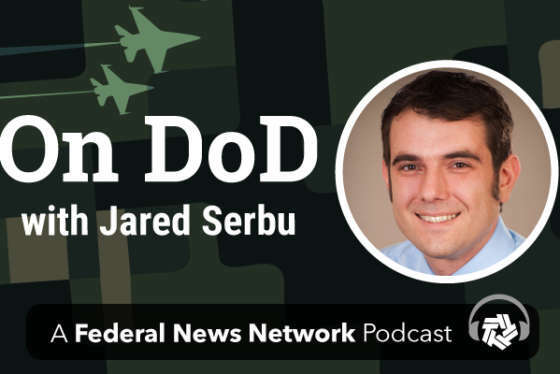 The Defense Department’s high-profile and controversial cloud procurement known as JEDI overcame a major hurdle, but is far from out of the woods. An internal DoD investigation found the Joint Enterprise Defense Initiative has not been prejudiced by at least two former employees, who previously had worked at or had ties to Amazon Web Services, the Pentagon announced Wednesday. DoD initiated the investigation, which presumably focused at least in part on Deap Ubhi, a former member of the Defense Digital Service, after Oracle filed a bid protest with the Court of Federal Claims. As part of initiating the investigation, DoD asked the judge for a stay in the protest and procurement process. Smith said DoD will be asking the court to lift the stay so it can move forward with the investigation. In the meantime, the Pentagon took two more steps to move JEDI closer to the award stage. First, it downselected bids from four companies to come up with a final two. Sources confirmed AWS and Microsoft remain in contention for the contract, which some estimate to be worth $10 billion over 10 years. Sources said DoD told IBM and Oracle, the other two bidders, that both companies were out of the competitive range. IBM also initially submitted a bid protest to the Government Accountability Office, which was dismissed when Oracle filed with the federal court. Second, DoD’s Washington Headquarters Services office released a sources sought notice for cloud computing support services on behalf of the Office of the Chief Information Officer. Responses to the sources sought notice are due April 23. Bloomberg first reported DoD’s decision about the investigation and downselect. In the meantime, the JEDI program’s road forward is far from smooth. In fact, DoD may have created more challenges for itself with its decision to complete the downselect before the court ruled on Oracle’s protest. The potential conflict of interest was only one of seven parts of Oracle’s complaint. The downselect decision could potentially give Oracle better standing with the court given one of its complaints is that DoD’s criteria was problematic. Oracle claims JEDI’s prerequisites have more to do with reducing the number of potential bidders than actual performance on the JEDI program, since the contract will use its own cybersecurity plan rather than FedRAMP. Another “gate criteria” Oracle criticizes as irrelevant is the requirement that the winning firm’s JEDI revenue not be larger than the commercial cloud business it had as of January 2018. Another potential obstacle for DoD to award JEDI is ongoing preliminary investigations by both the FBI and the IG separate from the new concerns about possible ethical problems. DoD’s spokeswoman Smith said the internal investigation and protests have pushed back the timeline and now the Pentagon expects to award JEDI no sooner than mid-July.